Chrysanthemums Garden is part of an ongoing project, Pairidaeza (Paradise Garden). The design is charted for canvas or fabric and can be worked on various thread counts. 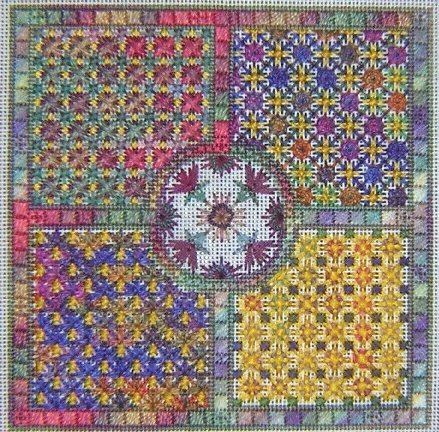 It is stitched with Watercolours, Waterlilies and Soie Cristale, but you are encouraged to experiment with other threads and/or color combinations in our collections to make this design uniquely yours.